Need to translate French to Norwegian? When you are in need of French to Norwegian translation, there is certainly no room for errors or mistakes, your translation has to be accurate and your message needs to be perfectly adapted to the Norwegian market. NordicTrans has been providing accurate translation services to international and local clients for the past 19 years with 100 percent satisfaction. When you need to translate French to Norwegian you need high accuracy which requires proper attention and detail for which we have employed professional translators in our company to handle every project. Having expertise in more than 120 languages, our agency has always worked with top business companies and corporate industries. Professional translators have knowledge about the best tools and techniques to be used in the translation process which makes it easier for them to deliver accurate translations. As we have hundreds of subject matter experts and skilled translators working in our office, we can translate French to Norwegian with high quality and accuracy. When it comes to French to Norwegian translation, it is compulsory that the project is done by a seasoned translator. Here at NordicTrans, translators are specialized in handling French as a universal language which allows them to ensure highest accuracy and perfection. No matter whichever document you need translated, our selected translators for the job will be highly-knowledgeable in the field. Small errors and mistakes in documents can lead to unwanted delays or even graver repercussions to businesses. To stay safe from the consequences, translation seekers are advised to get their documents translated from a professional translation agency. Quality assurance has always remained the first priority for our company which has certainly made us one of the leading translation providers worldwide. We provide accurate translations at affordable rates so that both companies and individuals can take benefit from our services. As we have a predefined rate list for each of our translation services, you can also get discounts when ordering bulk translation projects. For a free quote, you can approach our project managers and discuss your translation requirements through email or customer care helpline. Apart from quality and accuracy, professional Norwegian translations are recognized and accepted all over the world. 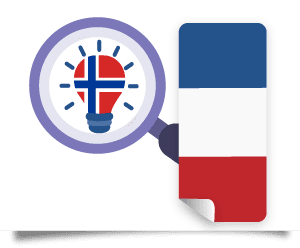 The demand to translate French to Norwegian is increasing rapidly for which translation agencies need to hire the most professional and skilled translators. Although there are several online translators and freelancers available at cheaper rates, but you can never rely on the quality and accuracy of their work. 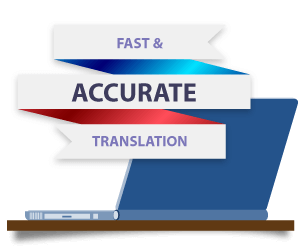 When using reliable translation solutions, companies need not to worry about mistakes or errors as each translation assignment undergoes strict checking and proofreading. French translation services provided by NordicTrans are done fast, yet accurate translations can be expected. Being the largest translation agency in the entire Northern Europe that provides only high quality output, our translations are accepted by every government department and private industries. Brands and business owners who are willing to expand their services into new marketplaces can choose our Norwegian translation solutions to help them in reaching their target audience and spreading brand awareness in a short period of time. Furthermore, our French to Norwegian translation services are suitable for any industry such as legal, business, technical or medical. Once we have received your translation order, our project managers will assign the work to the best suitable translators so that accurate results can be availed. Along with translation of documents, we can also help you in localizing any text, software or website for marketing purposes. NordicTrans strictly follows the standards set by the International Standard Organization (ISO) for each of the translation project. 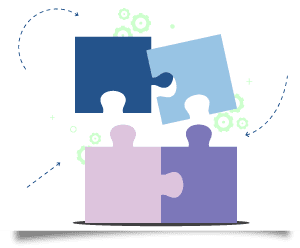 No matter how complex of difficult your translation assignment is, our project managers and translators work in collaboration to deliver accurate results. Without compromising on quality and accuracy, we always finish translation projects in a timely manner. Generally, translation assignments are time sensitive and need to be done urgently for which every translation order is completed within 24 hours. Our translation solutions are affordable and reliable as compared to other service providers in the area. As there are no rush or weekend extra fees, we offer the best price rates with absolutely no hidden charges. We require our customers to submit complete payment before starting the project so that they do not have to pay any extra charges upon completion. Regardless of your location or time zone, our company makes use of the advanced translation management system to serve the clients in a better way. There are several important aspects which need to be followed for getting accurate translations; you need to be careful when choosing a translation agency. Our professional translators have a complete grip on the Norwegian language which allows them to finish translation projects with perfection. Along with timely delivery and correct results, the translations done by our translators are recognized and accepted all over the world. When it comes to translations for business or for immigration, they have to be accurate, and sometimes the text needs to be adapted to the other culture to make perfect sense. Sometimes, simple literal translations make no sense whatsoever, and hence, for the translation to be just right, our translators make sure that the transition makes perfect sense in the target language. Having expertise of around 19 years in dealing with translations from and into in more than 120 languages, NordicTrans has always worked with the top tiers of the business industry, and you can be perfectly sure of the quality of our work. Any corporate document or business proposal will be perfectly translated from French to Norwegian, and you will have to face no hassle at all. Any type of document you have, in any field, can be perfectly translated and adapted to the local market. Our team of professional translators is equipped and experienced with all the tools that can help them make the translations more accurate and proficient. 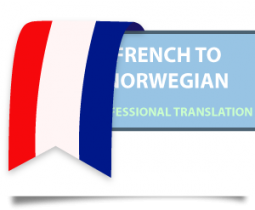 With the help of CAT tools where needed and a lot of subject-matter experience, NordicTrans can offer you professional French to Norwegian translation services that you might require for the growth of your business.